UPDATE: (2/28/08, 9:45pm ET) We've just received word from Paramount that DreamWorks Animation will follow its studio parent and end HD DVD support. DreamWorks Animation's sole remaining HD DVD release, 'Bee Movie' (originally scheduled for March 11) has been cancelled. We've updated our database accordingly. Ending weeks of speculation, Paramount says 'Into the Wild' and 'Things We Lost in the Fire' will be its last two HD DVD releases. 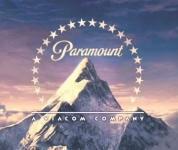 Although the studio has yet to issue a formal statement, when asked to confirm retail reports that it had canceled the majority of its upcoming HD DVD slate, a Paramount rep told us that following the next week's HD DVD releases of 'Into the Wild' and 'Things We Lost in the Fire,' the studio will no longer issue any further titles on the format. According to a just-published article in The Hollywood Reporter, the studio is expected to release its first new Blu-ray titles this summer. Needless to say, we'll keep you posted on further details of Paramount/DreamWorks transition to Blu-ray as they're announced.